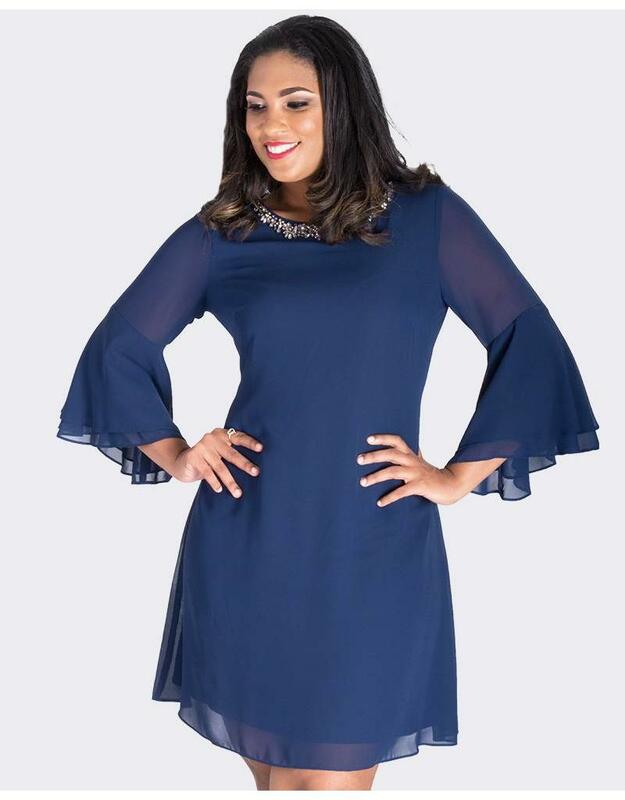 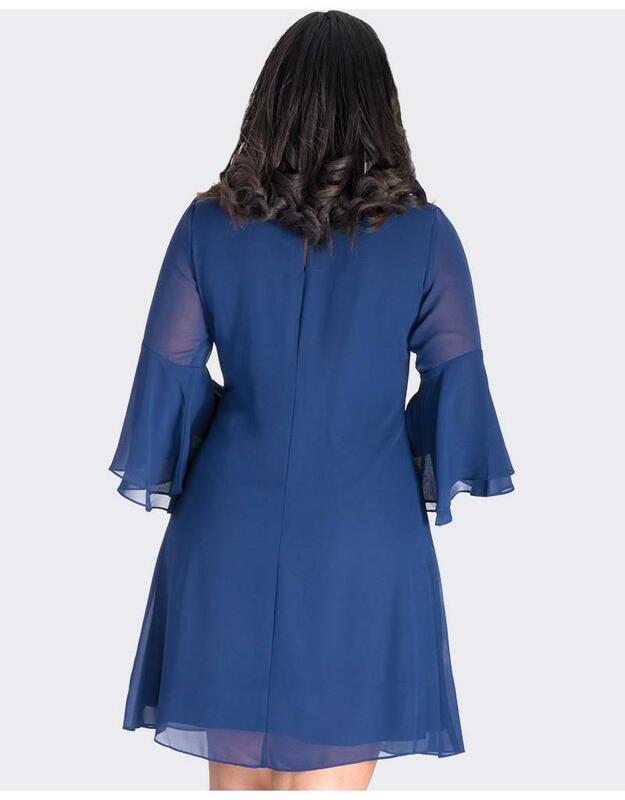 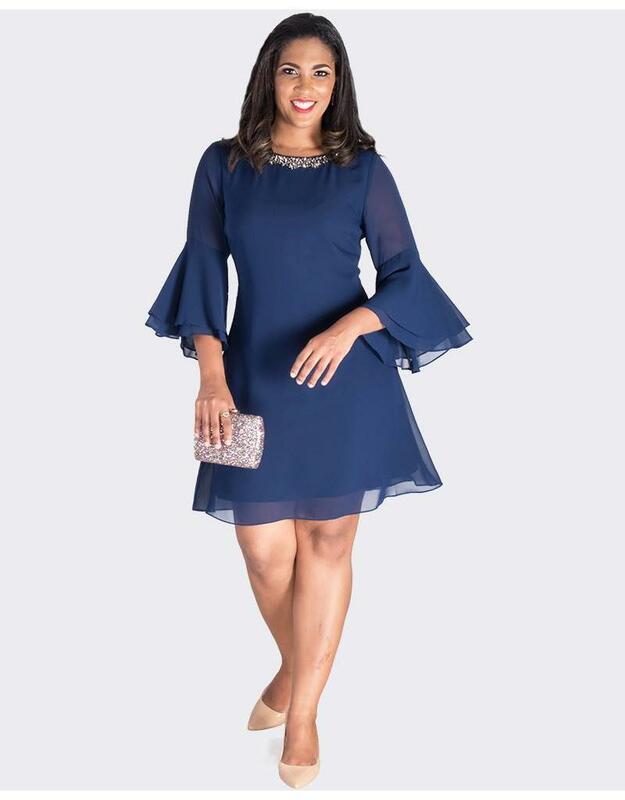 Whether it’s for a cocktail party or drinks with the ladies at your faviourite restaurant, this dress is dress you’ve been waiting for. 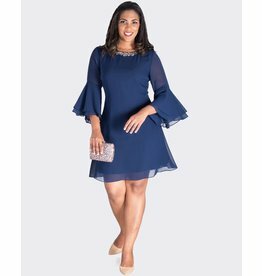 This dress features a round neckline with raised beadwork along the neckline for the 3D appearance of a separate necklace set. 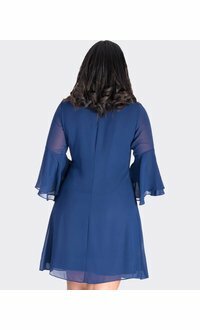 The three quarters sleeves features a dramatic double layered bell sleeve. 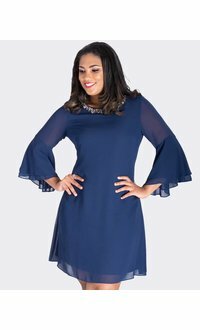 The dress is encompassed in this easy to wear shift silhouette that ends just at the knee. 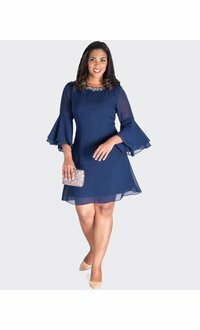 Pair this dress with accessories that end just the knee.